Corey Whelan is a versatile defender who is equally comfortable playing at right-back or centre-half. A Republic of Ireland U21 international, Corey has been at Liverpool since U10 level. Born in Chester, he was previously with Crewe Alexandra's Academy. Whelan made his U18s bow in the 2013-14 season and is a regular member of the U23s squad. Corey was made captain of the U23s ahead of 2017-18, and in January 2018 he gained league experience after sealing a loan move to League Two side Yeovil Town until the end of the season. 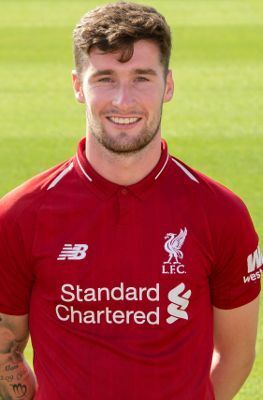 Whelan then enjoyed a loan spell at Crewe for the first part of 2018-19, making 18 appearances before returning to Liverpool in January 2019. Click here to read more about Corey in our Meet the Academy feature.